JGT Gravity Tables – JK Machinery s.r.o. JGT Gravity Tables are intended for sorting of materials with same grain size, but with different specific weight. 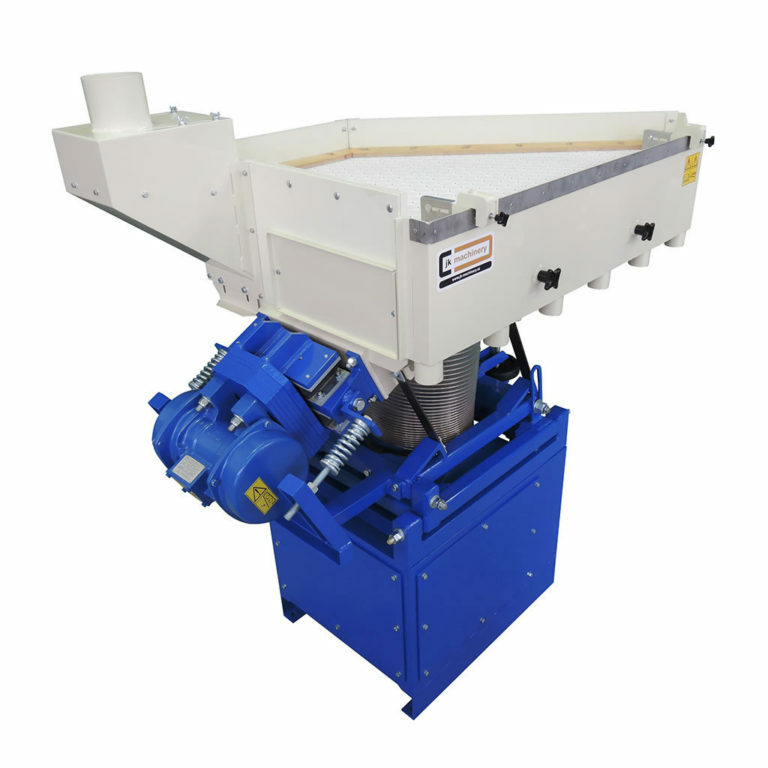 These machines are most often used for cleaning of sowing seeds and small seeds. They represent a higher degree of cleaning comparing to cleaning on screens cleaners with aspiration channels. Machines enable cleaning of product to purity exceeding 99.9 % of separable impurities and admixtures. The basic part is working sieve made from high-quality and long durability plastic material. Large amount of air is blown under the sieve, thus ensuring lightening of sorted particles and creation of fluid bed. On the working sieve, material is divided acc. to specific weight. 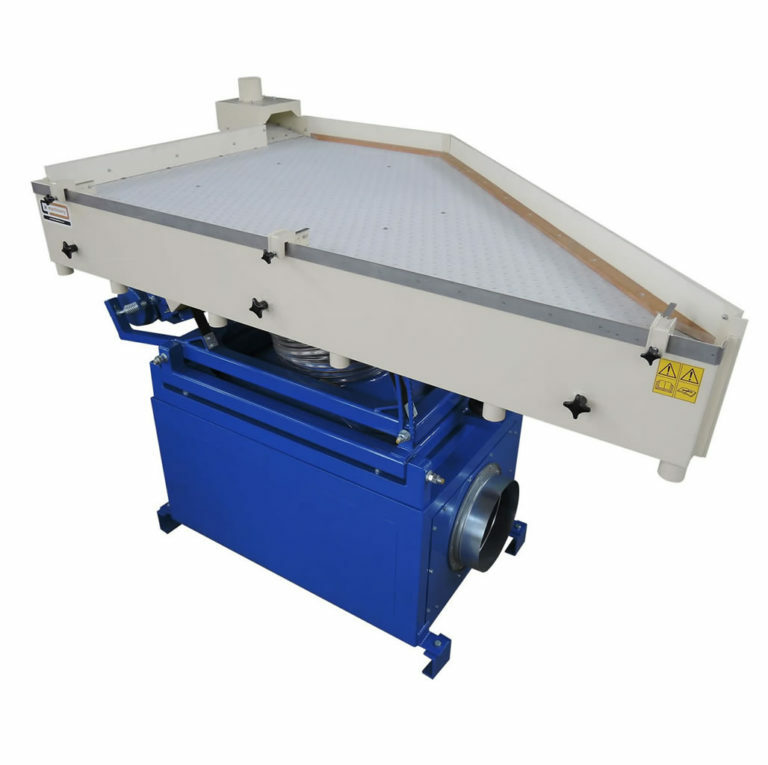 Machine has an adjustable vibration amplitude (using a frequency inverter), adjustable amount of blown air which creates fluid bed and adjustable inclination in two perpendicular planes. Further, it is possible to adjust amount of intake product, exact setting for each fraction (sliding elements) and sieve cover according to type of cleaned crop. Sieve is possible to incline in two perpendicular planes. Performance - Capacity data applies to input material; they are approximate and valid for usual impurities in particular crop. The machine capacity during processing of individual crops depends on contamination level of the crop, its humidity, and quality of the machine adjustment. *The fan input power depends on sorted material. Mentioned performance is maximum.